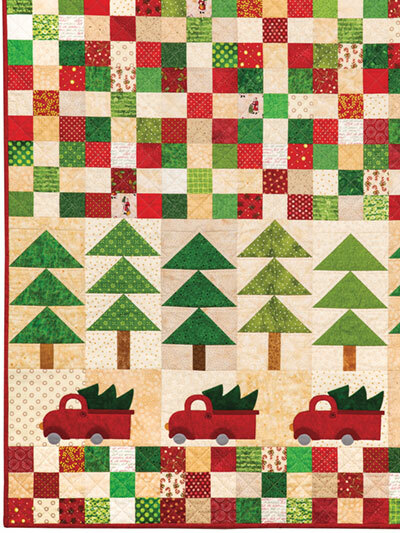 This way to the tree farm! 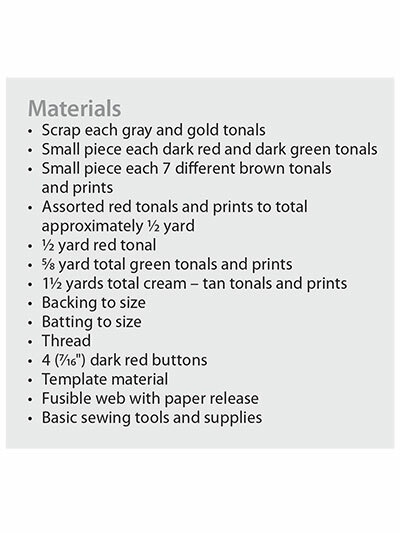 Many family holiday traditions start with a search for the perfect tree! 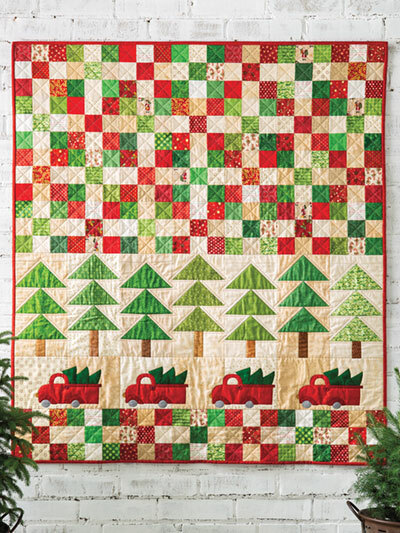 This quilt memorializes that event with a forest of pieced trees, appliqued trucks and a scrappy patchwork of red and green prints. Finished size: 42" x 48"; block size: 6" x 6".